Advice on writing – good or bad? A grumpy post. WARNING! This is one of my ‘grumpy’ posts. Although I first set up this blog to have a grump about things which irritate me, hence the user name, I don’t do that often now. What has irritated me recently? Bloggers who think they are psychologists, philosophers, even psychiatrists, and/or are competent to advise on writing fiction though either they have never had their writings, particularly a novel, published or only self published. I don’t mean to knock self publishing – I’ve read some great writing on blogs, which is after all a form of self publishing, but I think the test for any would-be novelist has to be the market – has the ‘advisor’ had a novel published by a commercial publisher? 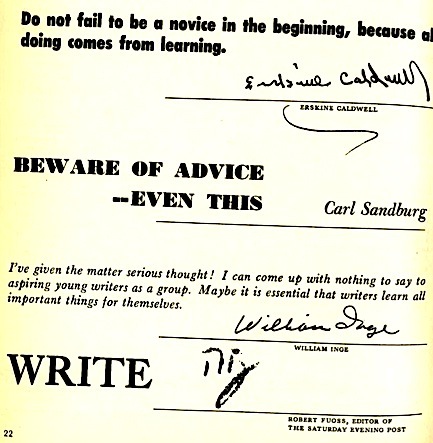 I know, I know – such blogged advice usually gets a lot of ‘likes’ and grateful comments – some people are even willing to pay for it – but I wonder how many would-be writers in fact go on to be successful writers based on such blogged advice. Short story writers and poets have it easier; it is simpler to get into an anthology though I would not belittle that. Blogging is somewhat different; if you want thousands of followers (I do not) there are several things you can do in your writing to achieve this; most of them are ‘mechanical’ and could be done by a robot. In fact there are ‘digital robots’ out there which will analyse your writing and ‘advise’ how to increase readers and followers or even do it for you. And there are some really ‘successful’ blogs on which the writing is terrible. One exception is of course bloggers writing in imperfect English, that not being their native tongue. I follow several blogs like this and have great admiration for these bloggers, quite apart from the enjoyment I have from what they post. If your blog has a ‘theme’ then even if the writing is poor you may get followers who are interested in that subject. .
One of the blog things which most impresses me is a number of non-native English-speaking bloggers who post in two languages – both their own language and English – and in which the standard of English is excellent. I can only judge those published in Romanian and English as the only foreign language I speak pretty well is Romanian; in fact I usually only read the English if I get stuck with the Romanian, which is rare now. Writing fiction or poetry is something pretty new for me though I earned my living from writing, sometimes a very good living, for most of my working life. But even in my field I’d be wary of giving advice.